14-year-old Leo Wels-Bezem from Essen and his two brothers were some of those children and young people who were deported to Zbąszyń and who, after many stops on the way, managed to get on a ship to Palestine. He still remembers vividly being rowed towards the beach at Tel Aviv in a dinghy and being thrown into the arms of helpers waiting there. After studying at the Bezalel Art Academy in Jerusalem, Leo became an internationally known artist, using his Hebrew name Naphtali Bezem. Ships continue to play an important part in his work to this day. 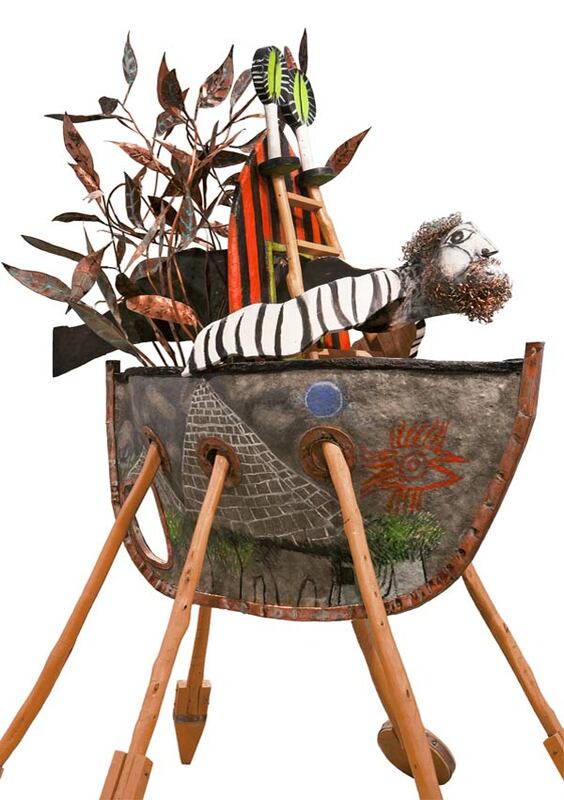 Naftali Bezem, Boat, 2012. Photo Credit: Lior Herchkovitz.